We're Not The Best Because We're The Oldest - We're The Oldest Because We're The Best. Celebrating 80 years of excellent service in CNY! "We highly recommend this company to all in the Central New York snow-belt, where the experience and knowledge they provide is definitely required - and appreciated." -Kathleen R.
"You have restored my faith that companies still exist that actually do what they say they will do with kindness, courtesy, professionalism and communication from start to finish." -Paul R.
Click here for Warranties & Financing! 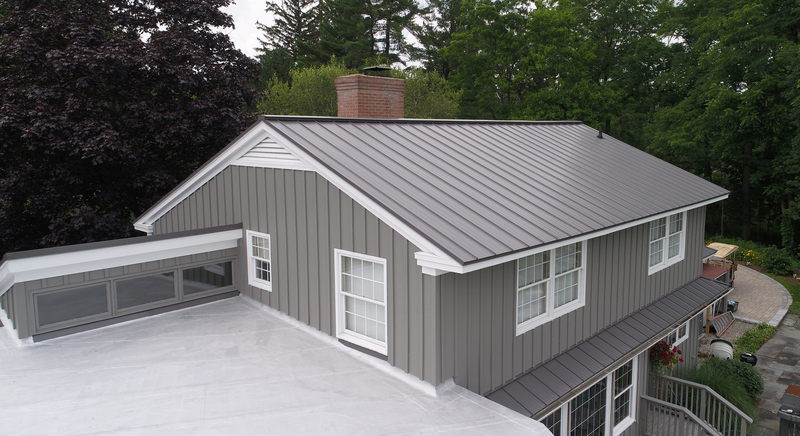 Roofing, siding, gutters, and windows are a few of the products we offer to install for you. Whether you are a homeowner with a residential property or a business owner with some commercial space, our team of salesmen can get you started in the right direction. If you have a leaking roof, want to prevent your aging roof from damaging your property, or you are in need of a repair to a newer roof, our experienced staff can take care of your situation and leave you feeling confident that we will be there next time you need someone dependable and honest. Click on the link below to submit a contact form and one of our sales team will be in touch with you soon! Or click on the “Learn More” button to see what else we can do for you. 2019 marks 80 years that Van Derhoof Roofing has been providing excellent service to our thousands of CNY customers. As a way to say thank you for all of your support since FDR was president, we wanted to give back to the community to show you our support and appreciation. Check out what we did to help out a great organization for some very deserving people. Van Derhoof Roofing employs some of the industry’s best roof mechanics in the CNY region. Our staff consists of more than 35 experienced and loyal residential roofers, commercial mechanics, siding and gutter installers, and servicemen to repair or replace your building’s faults. Click on the link below to meet our staff. Van Derhoof Roofing offers exceptional warranties that no other roofing company in this area can offer. Not only do we offer a lifetime guarantee for your architectural shingle installation with GAF’s System Plus Warranty but we also can provide you with our standard workmanship warranty for 5 years and GAF’s Golden Pledge Warranty protecting your investment for 25 years. Click on the link below to learn more about these special offers. Our foremen have gone through extensive on the job training and all are factory certified. 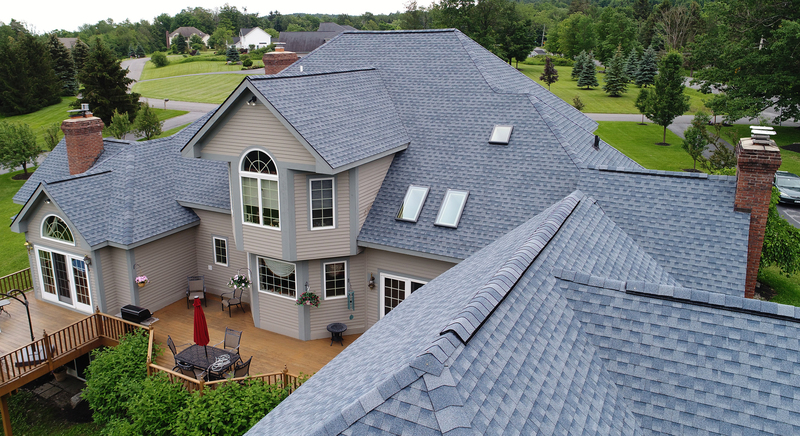 We are the only certified GAF Manufacturing Corporation Master Elite Contractor in Onondaga County and this status allows our customers to receive additional coverage and benefits when they purchase a new roof system from us. Learn more. © 2014 Van Derhoof Roofing Co., Inc.